Welcome to our 3rd Annual Clinician Conference: CCPN - Bringing Value Home. We are excited to announce that the DHHS-awarded Medicaid Prepaid Health Plans will be presenting at this year’s conference to educate you about their plans. 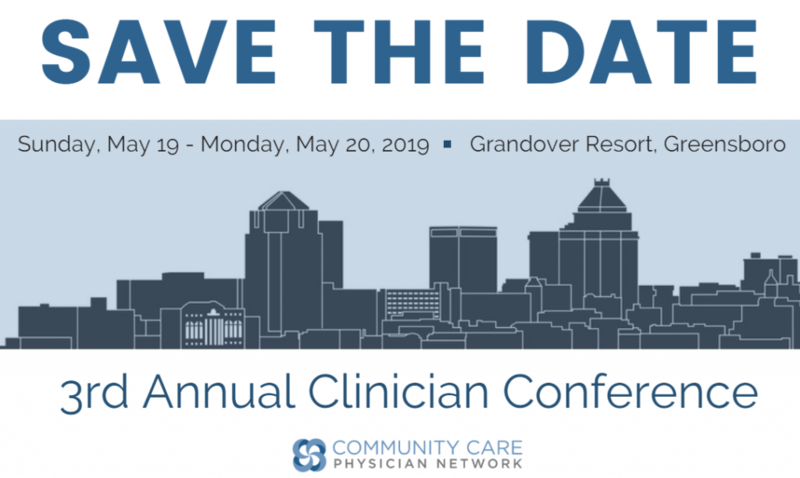 Please check out our recap of the 2018 Clinician Conference for a short summary of our event last year. We hope that all of you will be able to join us!